I’m a little occupied these days as we’re expediting things at our software firm because we’re travelling out of town next week. 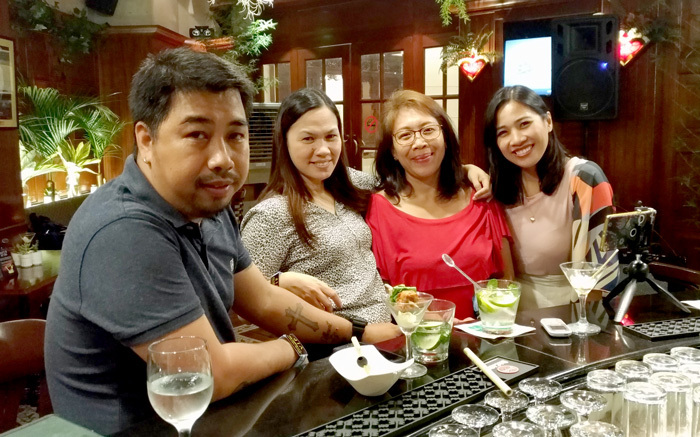 But when Sarah of Marco Polo Davao Marketing told me they’re pushing through with their plans to launch the safari nights at Eagle’s Bar, who am I to say no to a glass mojito. I am just too weak to refuse a night of fun and excitement and especially that most of my girl friends are going. Eagle’s Bar is one of the classic night destinations in town. 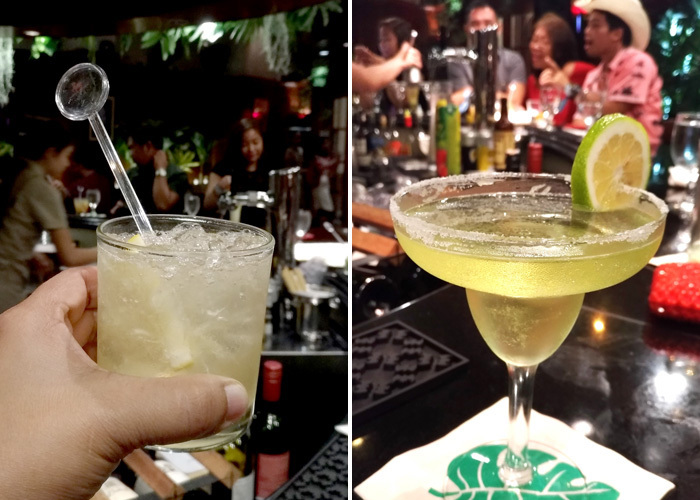 Located at the ground level of Marco Polo Davao, this timeless bar is bound to intoxicate you with exquisite cocktails and heartfully blended drinks and spirits. Safari Nights at Eagle’s bar happen every Thursdays, Fridays and Saturdays. They’re transforming the whole place into a safari-themed bar where guests can enjoy the classic 24 cocktails like - Alexander, Bellini, Bloody Mary, Caipirinha, Cosmopolitan, Cuba Libre, Daiquiri, Gin Fizz, Long Island Iced Tea, Mai Tai, Manhattan, Margarita, Martini, Mimosa, Mojito, Old Fashioned, Planter’s Punch, Screw Driver, Side Car, Tom Collins, Whiskey Sour, Piña Colada Cocktail, Singapore Sling, Kir Royale and other impressive spirits and drinks with a feel of getting into the wild. Plus a band of live music playing in the background. One can even play along with the singers if you're gifted and courageous enough to sing a tune. Marco Polo Davao will run a Safari Night social media contest. The mechanics is super easy. Guests will upload a photo or video-clip on their Facebook or Instagram about their Safari Nights experience at Eagles Bar. 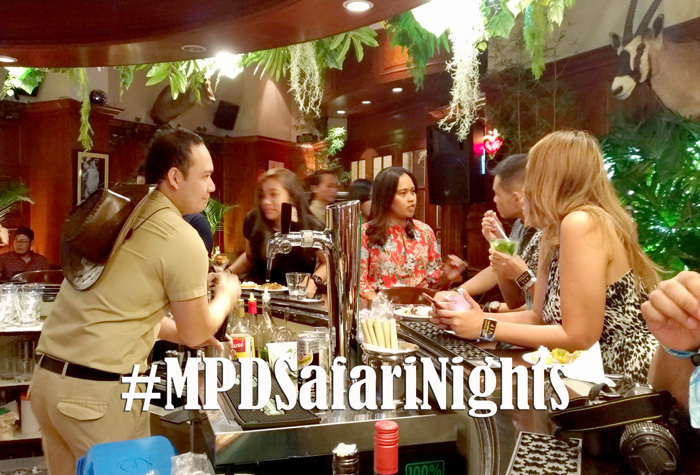 Posts must contain Safari Night’s official hashtag #MPDSafariNights and must be set to public and tag Marco Polo Davao’s Official Fan Page. Participants may upload/post as many as he/she can and in the event that his/her posts qualify for winning entries, Marco Polo Davao will only award 1 entry/post. Top three (3) posts will each win an overnight stay with breakfast for 2 at their Cabana Room. Winners will be selected based on the following criteria: 20% Composition, 20% Overall Impact, 20% Story/Caption, 40% Post Likes and Engagement. Judging Period will be from May 17-June 30, 2018 and announcement of winners will be on July 4, 2018. 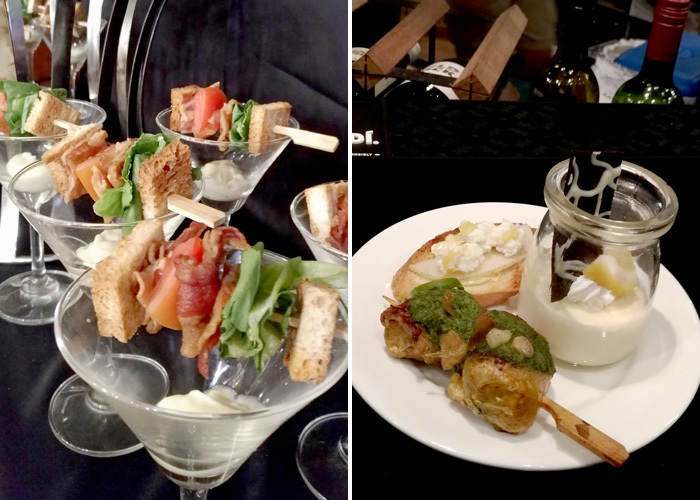 Just few of what awaits you at Eagle's Bar! 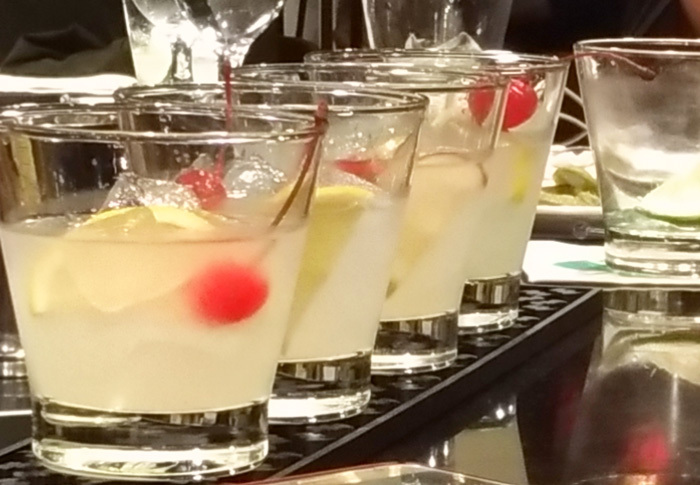 Amaretto Sour Mix. 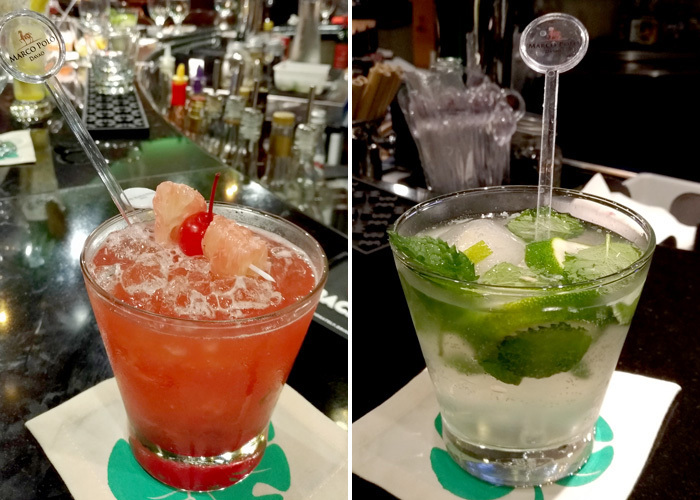 You should ask Laurence, Eagle's Bar's mixologist to make one for you. One of the best in town. I'm shifting 'my usual' to this. So good! 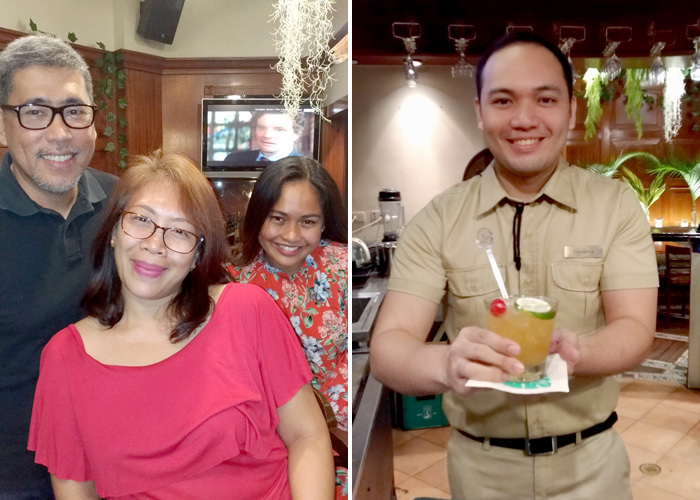 As part of the hotel’s advocacy on sustainable tourism, Marco Polo Davao, an Earth Check Certified hotel, has launched its Straw-less Campaign during the Safari Nights launch. 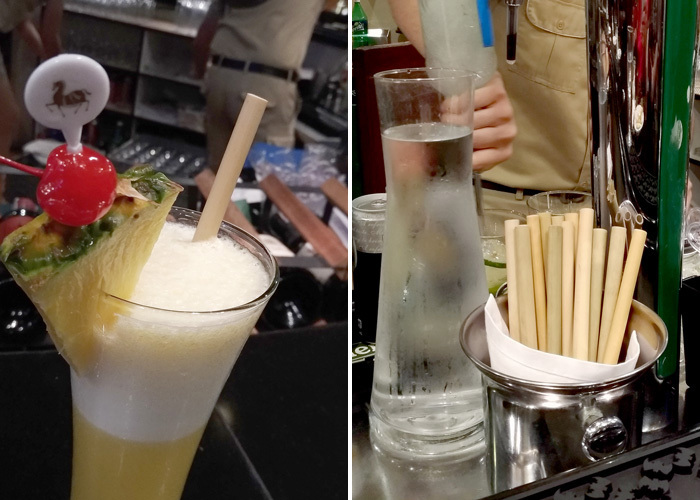 The objective is to eliminate the usage of single-use plastic straw. Marco Polo Davao will now be providing bamboo straws for smoothies, Signature Iced Coffee and on some classic cocktails. The MPD bamboo straws are made by Bambuhay, a social enterprise based in Luzon that creates eco-friendly solution to greener Earth. The bamboo straws have anti-bacterial properties, biodegradable, reusable and they will be available for merchandise in the upcoming months. I can’t wait to buy a few for myself and the kids. I want them to imbibe this strawless culture while they’re young. Marco Polo Davao has now set the bar up as it has been recognized for their efforts in going green and supports sustainable tourism as it is the first hotel in Davao City who has done this initiative. Way to go, Marco Polo Davao! (R) A bucket of bamboo straw at the bar counter ready to be used. 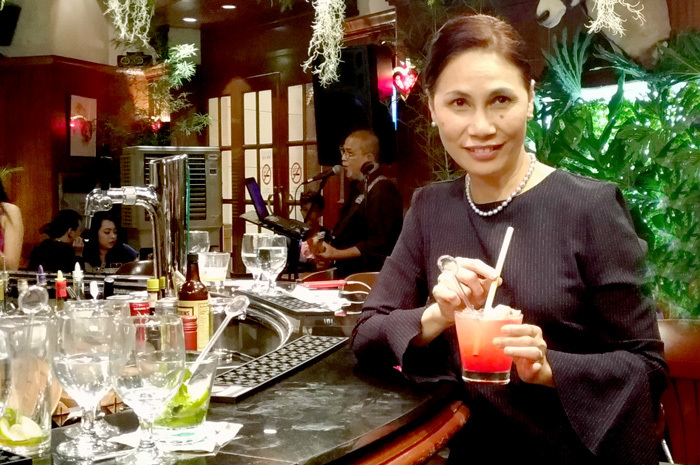 sports her Davao Punch with a re-usable bamboo straw. Don't go glass hopping with an empty stomach. Glad we had these. 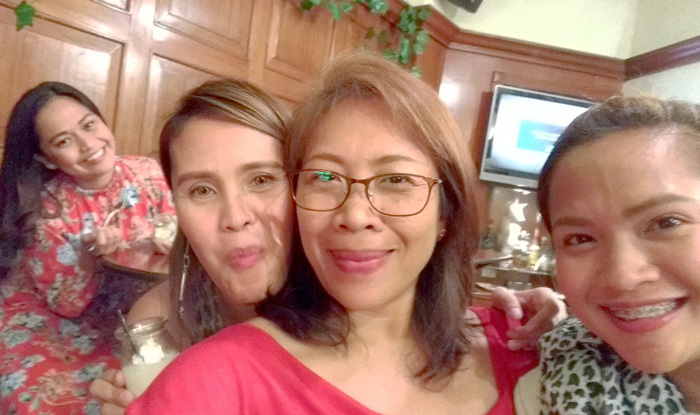 (L) With Jinggoy Salvador of Sunstar and Marco Polo's Marketing Manager, Sarah. (R) The one and only, Laurence Ibarra - best mixologist in town. Because they say, no good stories started with a salad. So, cocktails night tonight! 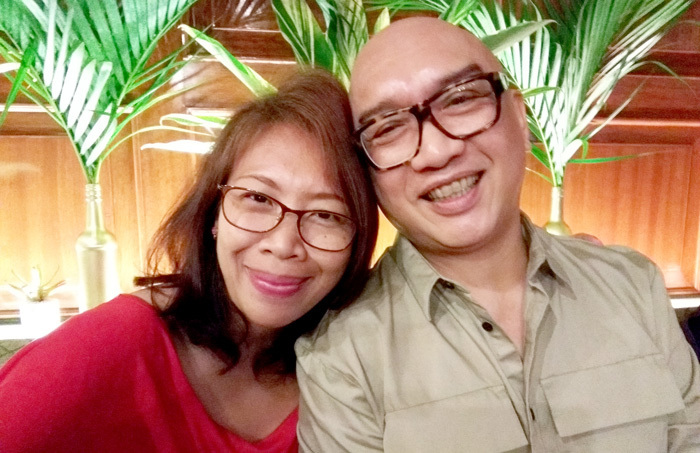 yours truly and Jeline Gizon, Marco Polo Davao's Comms Officer.